One of the Web’s biggest curators of handmade goods Etsy has launched guides to the maker scenes in Austin, Los Angeles, Chicago and Philadelphia so you can now find the best crafters IRL. Each city has a grid showing featured Etsy crafters’ stores and you can also switch to a map view so you can make your way to a shop that catches your eye. The selections span everything from cards to clothes and homeware. 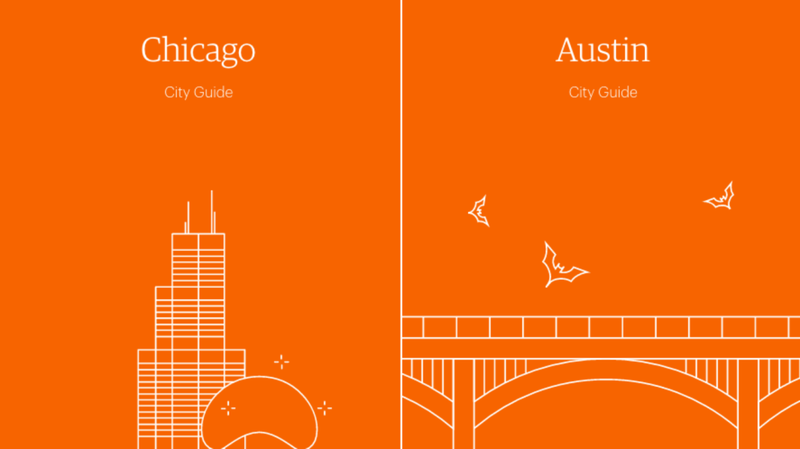 Last year, the company printed guides for each of these cities, but has clearly now seen the value in opening them up on a swish, responsive website. New York is ‘coming soon’, according to the site. Etsy, which is 10 years old this year, has spent 2015 transforming its business from a global, Web-only platform to offer more of a local play. This includes adding local sellers to its app in August, while in October the company started trialing local delivery to people in New York. The guides are powered by On the Grid, a trendy website launched in May by design agency Hyperakt, that profiles the world’s coolest places.